At Moore Law LLC, we represent clients in Atlanta, Georgia, and the surrounding areas. 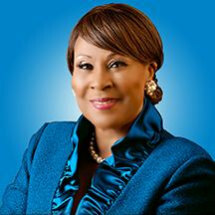 Our founding attorney, Judge Thelma Wyatt Cummings Moore, has more than 40 years of experience and her law firm continues to protect clients' rights through compassionate and aggressive representation. We understand the needs of our clients and will help them every step of the way. We also provide mediation services, independent investigations, institutional ethics reviews, strategic crisis management and the protection of constitutional rights for local and state municipalities. Do You Have The Legal Representation You Deserve? Moore Law LLC is committed to finding the best possible outcome in your case. While every case is unique and depends on a variety of factors, obtaining skilled and experienced legal counsel can go a long way in your case. Our attorneys take a hands-on approach with you: we get to know you, your personal situation and what steps can be taken to help protect your future. Whether you have been injured in an accident, are facing criminal charges, going through a divorce or need assistance resolving a legal matter, our law firm will help you every step of the way.